I am always amazed by the inventions that surround us all day. And if we don’t look carefully, we miss them. I was car pooling with my colleague Anson and our car stopped at a traffic light. Keeping us company at the traffic light were buses, cars, bicycles, scooters, motor cycles – moving vehicles of all sizes and shapes. 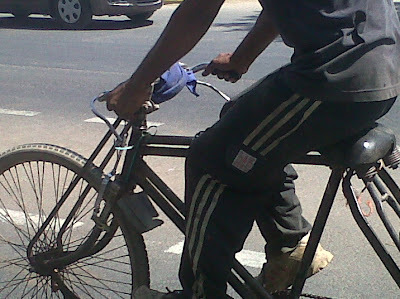 To the right of our car was a bicycle and Anson pointed out to a small invention that we thought was very clever. 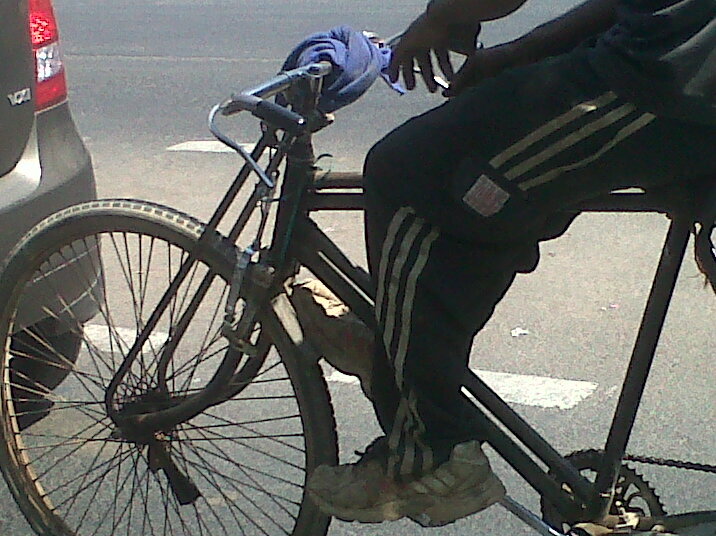 To stop a bicycle, the cyclist has to apply break with the hand and lean the toe on the ground to stop the bike. When it is time to go, he would lift his foot off the ground and pedal away. The person next to us created this small foot rest attached to the break so that he could rest his feet while he also stopped the bike. 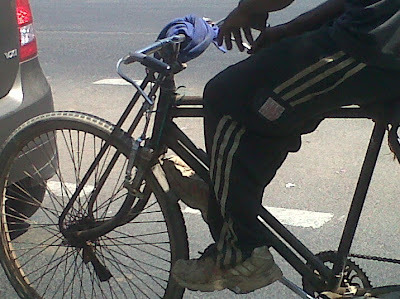 Instead of dangling his leg onto the ground, he could rest it on the foot rest that also acted as a break and the other leg could still rest on the pedal. This simple invention that would give a tad more comfort stood out to as the most cool thing among all the vehicles that surrounded us. Once the light changed to green, all he had to do was take one foot off the foot rest and pedal forward! Pretty cool, huh!